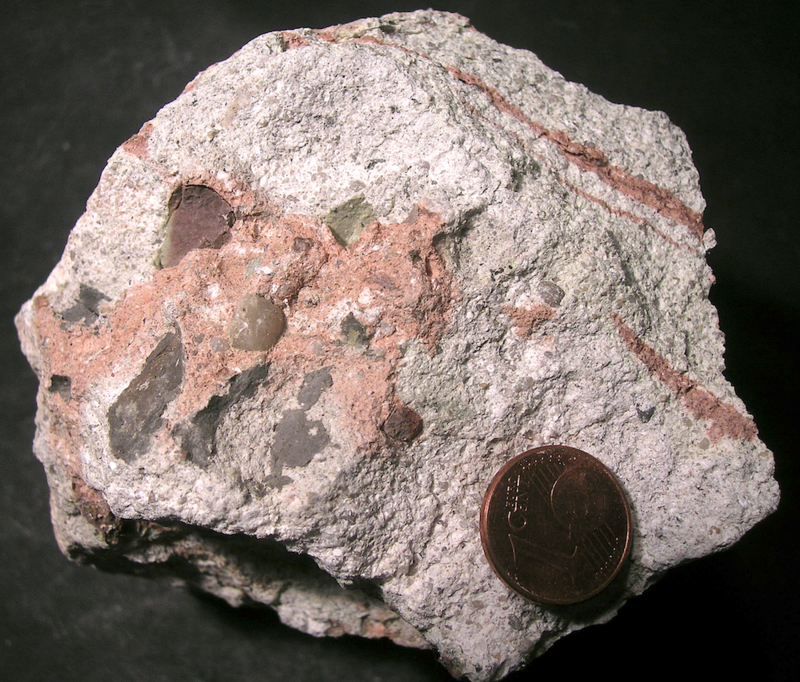 The Ries impact structure exhibits a wealth of various impact rocks (impactites) from all classes of an impactite nomenclature: impact melt rocks – impact glass – suevites – polymictic and monomictic breccias – lithic breccias. 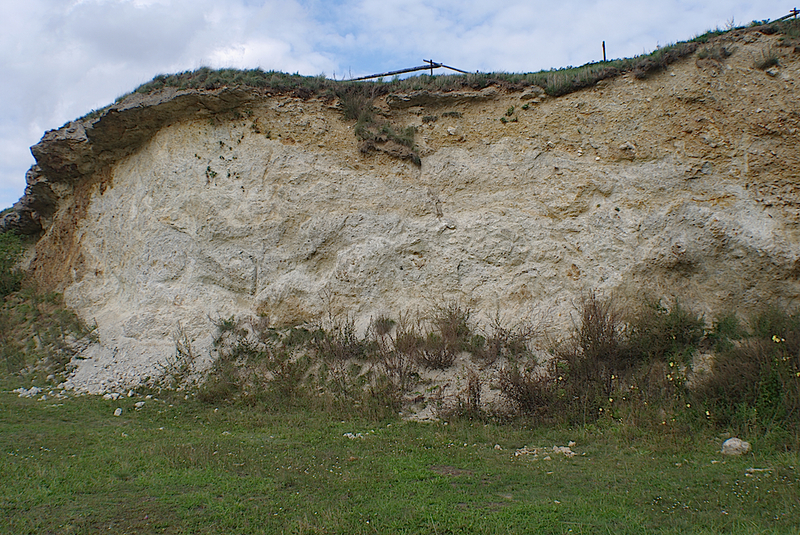 These rocks have all been known and described already at times (until the sixties) when the Ries crater was unquestionably considered a giant volcanic explosion structure. Particularly the suevite breccias were originally taken as the Ries-specific volcanic rocks although their acidic chemistry completely differed from the common basaltic composition of the Southern Germany Tertiary volcanic occurrences making the geologists pondering. Nevertheless, still after the discovery of the SiO2 polymorphs coesite and stishovite (by E.M. Shoemaker and E.T.C. Chao) in the suevites the fierce dispute about the origin of the Ries crater continued, and many researchers were convinced that the strong magnetic anomalies in the central part of the Ries basin must be attributed to basaltic intrusions hidden below the post-Ries event thick lake sediments. Meanwhile however it was shown (Pohl 1965) that also the suevites could possess a considerable magnetization, and the new Ries impact model replaced the up to then assumed basalts in the crater basin by a layer of impact produced suevites, which however did not convince the skeptics. The test was conducted in 1966, when the 180 m deep Wörnitzostheim hole was drilled over a strong magnetic anomaly within the Ries basin. 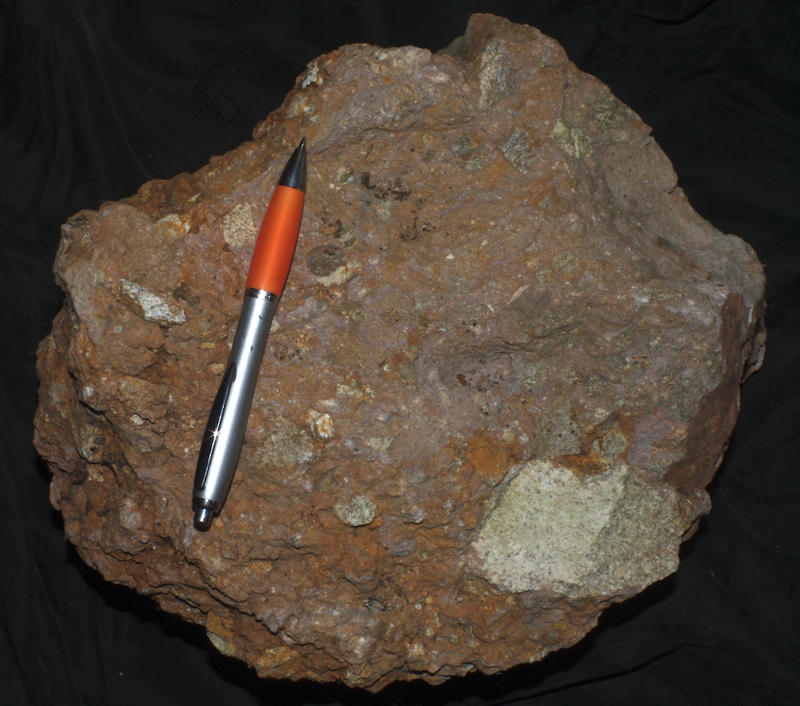 Basalt or suevite – that was the question. The campaign was directed by Prof. Reich from Munich, and the anecdote is delivered that he without a word got in his car and went away when the drill brought up the first suevite sample. Afterwards and until today not any piece of basalt has ever been found in the Ries crater, and the suevite became the impactite per se. 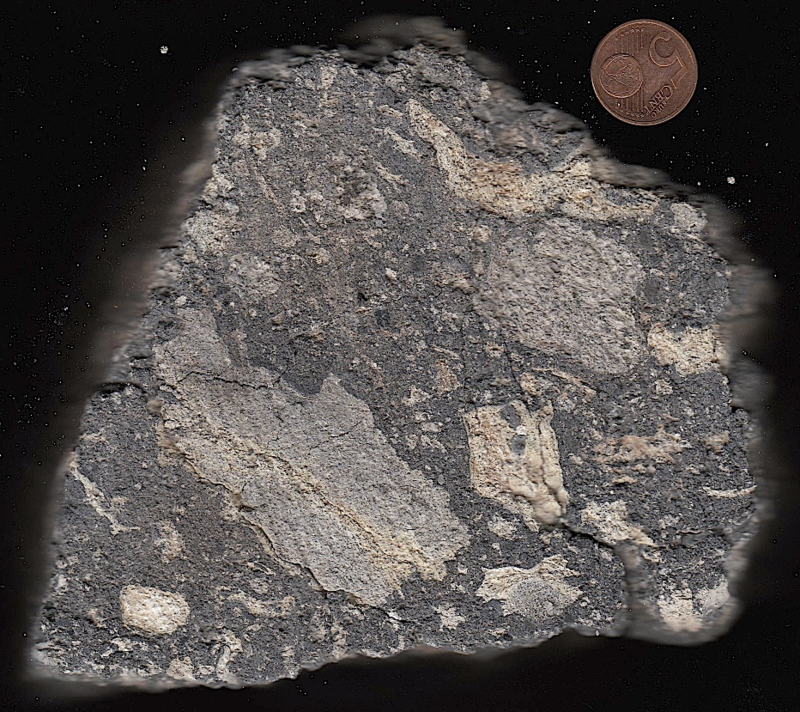 Originally termed suevite being the characteristic “volcanic” rock from the Ries district in Swabia (from Latin Suevia) quite similar rocks, also named suevite now, have been found in many impact structures worldwide. Some confusion and imprecise classifications exist among impact researchers of the IUGS with the nomenclature of impactites which we have lengthily addressed here and which we reproach particularly with little geologic applicability. In the Ries crater originally all shocked polymictic impact breccias containing melt products were termed suevites. 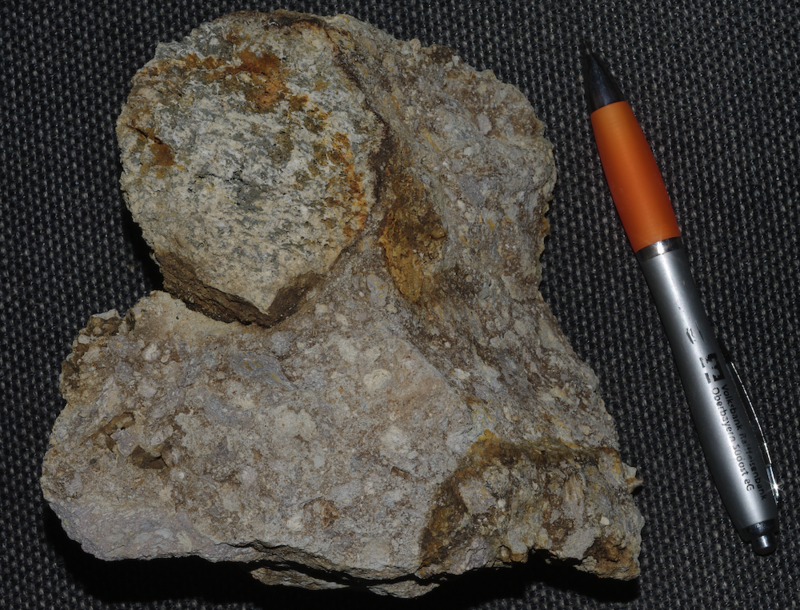 As an anylysis showed that the special Polsingen suevite variety (including the Amerbach suevite) differed from all other suevites by its matrix that obviously was a melt rock matrix, the Polsingen “suevite” metamorphosed to a Polsingen impact melt rock. 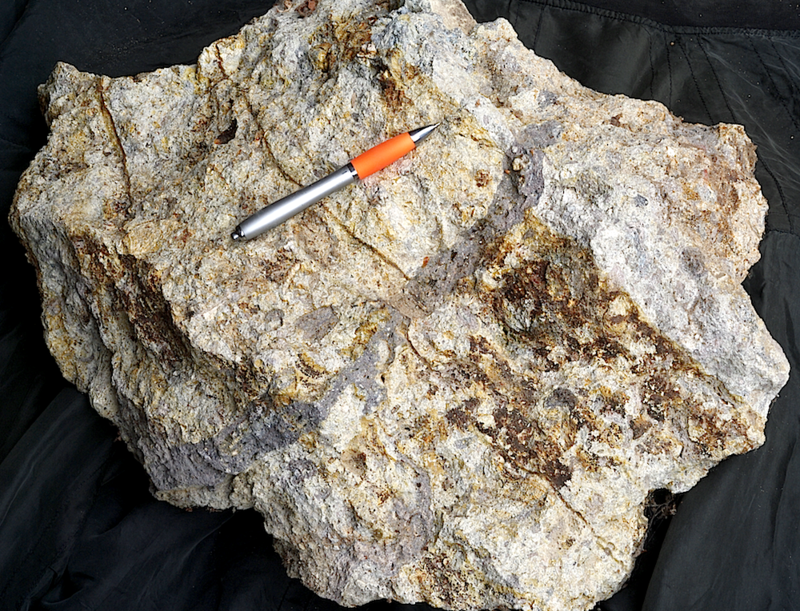 By definition suevite is a breccia and thus a sediment with a clastic matrix. 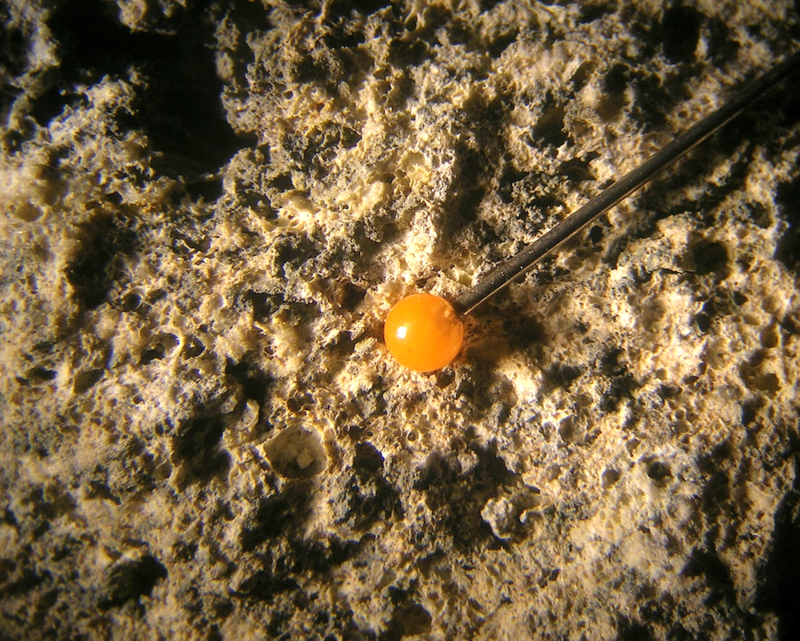 Meanwhile there are attempts to generally reconsider the Ries suevite nomenclature which we consider little effective because the whole impactite nomenclature strongly is a matter of scale (see our discussion of the IUGS classification). Here, everything will remain unaffected: Except for the Polsingen and Amerbach impact melt rocks we are dealing simply with Ries crater suevites. Fig. 1. 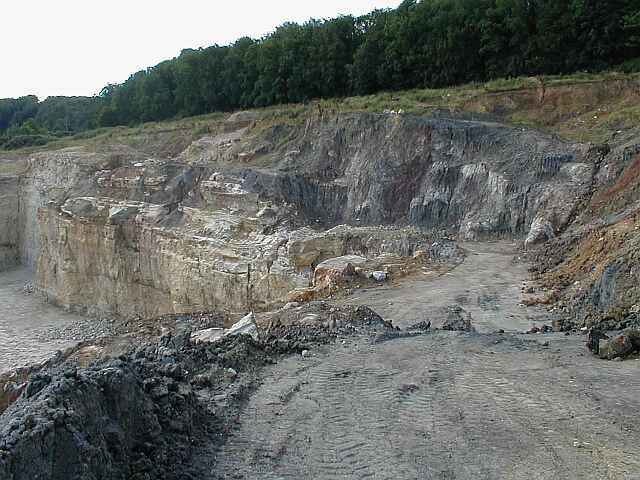 Impact melt rock; from the small disused Polsingen quarry. Formerly, this melt rock was considered a suevite. It could be shown however that actually, the matrix is a crystallized impact melt. 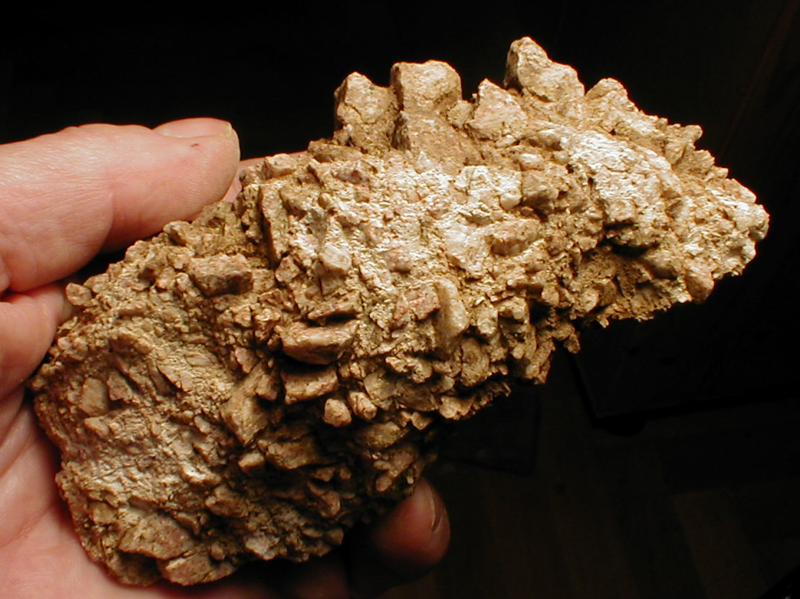 Different from this and by definition, a suevite has a clastic matrix. Fig. 2. Cut and polished face of the Polsingen impact melt rock. Practically all clasts are from the crystalline basement. Fig. 3. Polsingen impact melt rock: close-up of the photograph in Fig. 2. Field width is 1 cm. 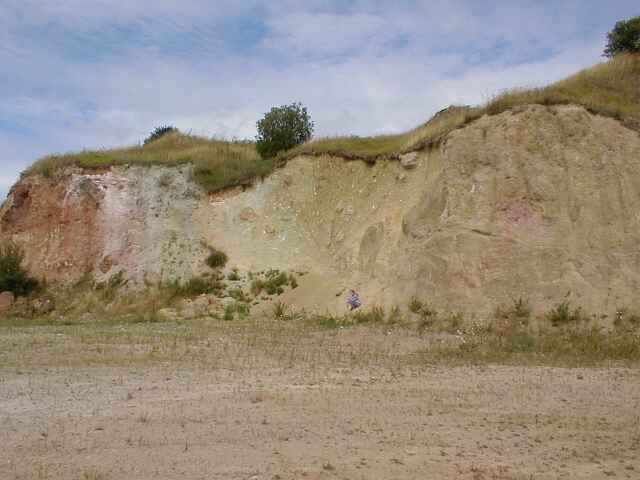 The clast sizes cover all scales more or less continuously not allowing to speak of a matrix and embedded clasts. The impact melt rock character and its difference to a suevite can obviously be established under the microscope only underlining the lack of geologic conceptual clarity of the impactite nomenclature of the IUGS. Fig. 4. 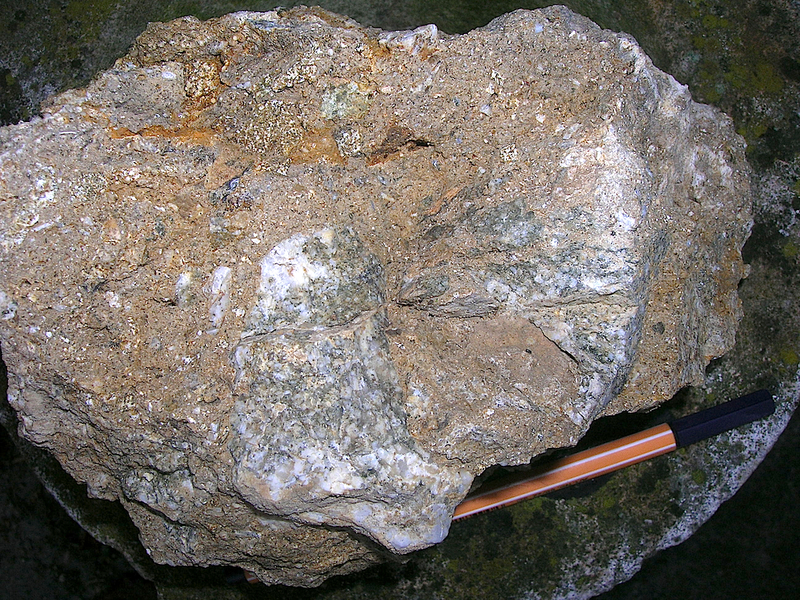 Cut face of a Ries crater suevite from the Aumühle quarry. The larger pale clasts are all fragments from the crystalline basement. Some flow texture adjusting clasts can be observed. Fig. 5. 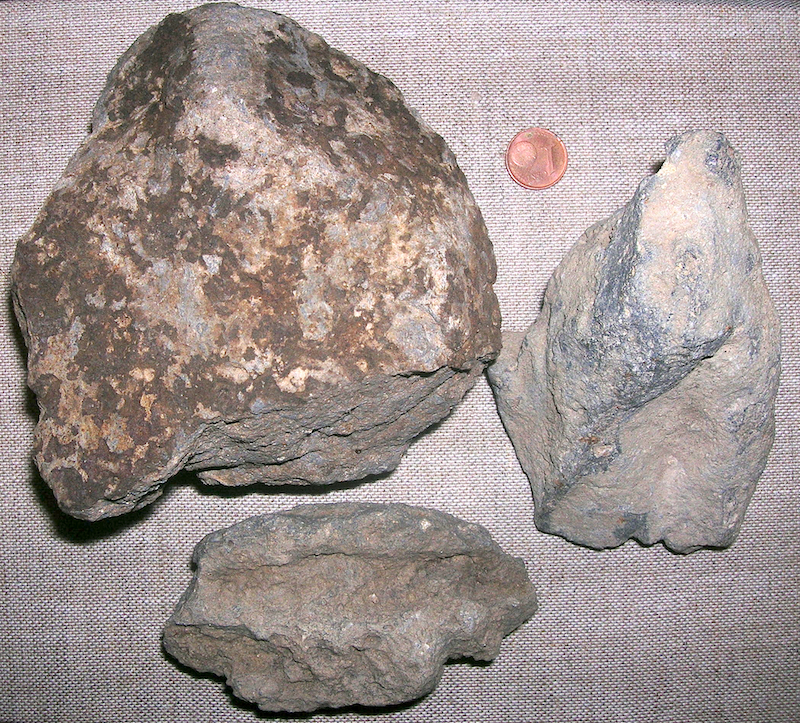 Ries crater suevite: the Zipplingen variety differing from the Aumühle variety (Fig. 4). 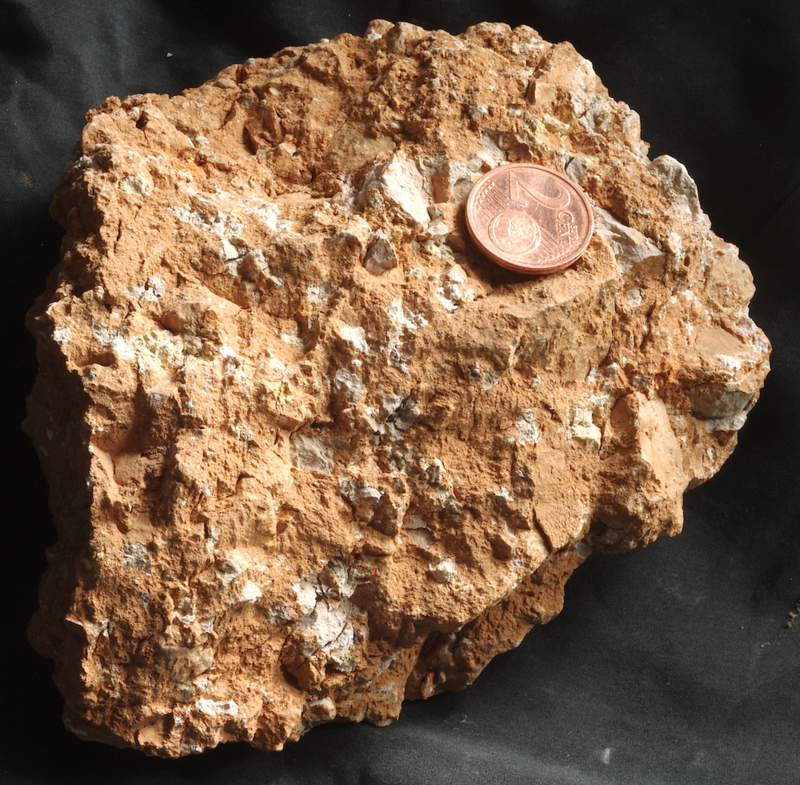 The Zipplingen suevite features a higher contribution of sedimentary clasts. Fig. 6. 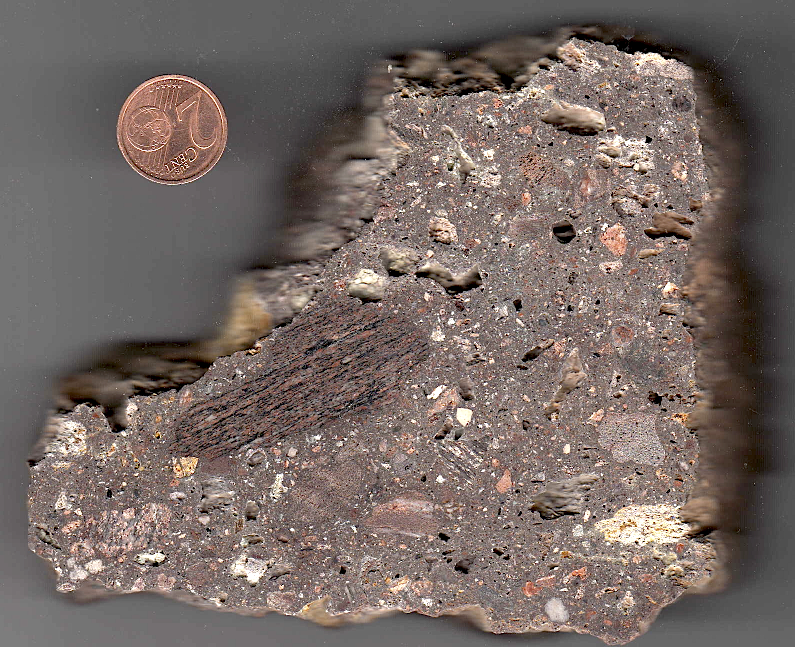 Ries crater suevite: a partly melted gneiss fragment in a suevite breccia from the Aumühle quarry. Higher impact shock levels may lead to complete melting and glass formation (see Fig. 7). 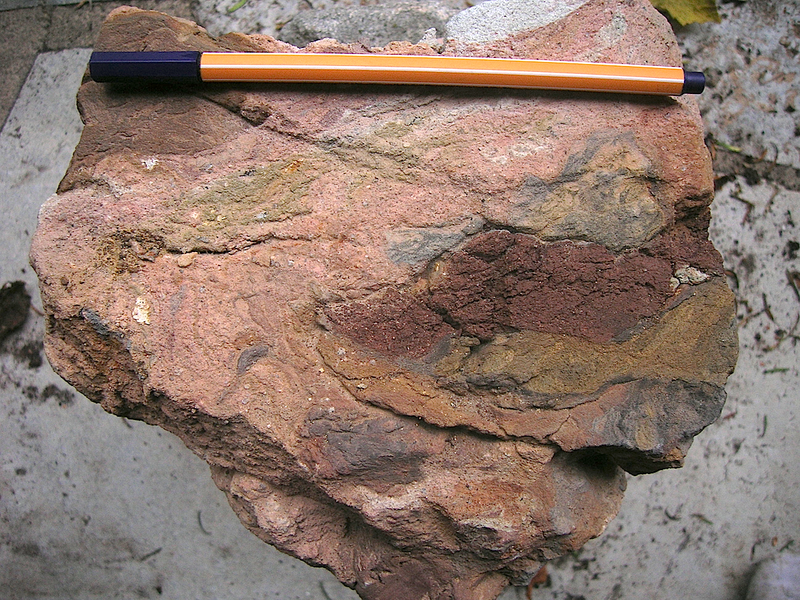 As larger particles embedded in the suevite breccia they are called “flat cakes” (Swabian: Flädle); see Figs. 8, 9, 10. Fig. 7. Close up of the gneiss fragment from Fig. 6. Partially the crystalline rock is melted to a vesicular glass. Shock pressures for total-rock melt must exceed roughly 60 GPa (600 kbar). Fig. 8. 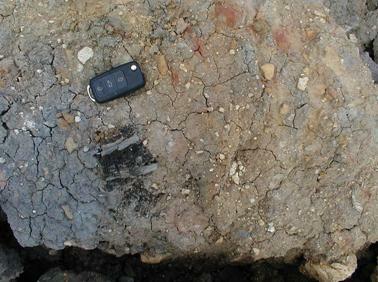 Ries crater: larger grayish glass inclusion (“Flädle”) in a suevite. 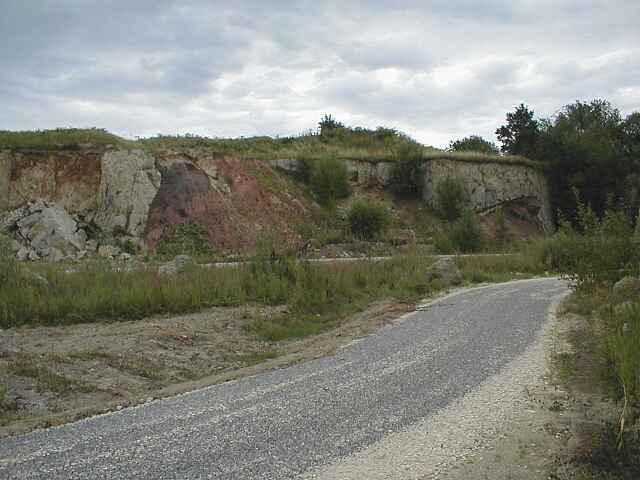 Aumühle quarry. The brownish discoloration is a weathering effect. Fig. 8-1. Cut face of glass “flädle” in a suevite from the Ries impact crater. Fig. 9. Ries crater: a glass inclusion (“Flädle”) extracted from a suveite; Aumühle quarry. Fig. 10. Interior of the glass “cake” (“Flädle”) shown in Fig 9. The strongly vesicular glass is for the most part recrystallized. Ries crater glass “bombs” weathered from the suevite Fig. 11. 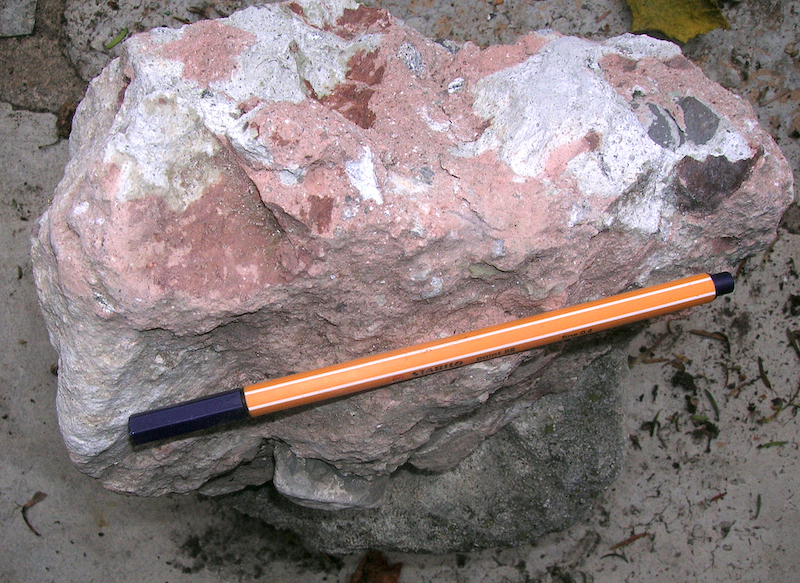 Aerodynamically shaped glass “bomb” separated from the suevite matrix by weathering. Heerhof fields. Fig. 12. More Ries crater glass “bombs” from the Heerhof fields. The Bunte breccia (multicolored breccia) belongs to the Ries crater megabreccia ejecta blanket and, basically for mapping reasons, is attributed to the mass of the smaller sized components (< 25 m) in contrast to the larger dislocated megablocks. The “bunte” (multicolored) designation is best understood from the following figures and is related with the frequently intimate mixture of rock components from all stratigraphical levels in the impact target. Fig. 13. From the Bunte breccia ejecta, Ries impact structure; Ronheim quarry. The multicolored components are mostly Keuper sediments. Fig. 14. From the Bunte breccia ejecta, Ries impact structure; Ronheim quarry. The components are a mixture of sedimentary and crystalline clasts. Fig. 15. Ries crater Bunte breccia ejecta fragment composed of mostly Keuper marlstone and sandstone. 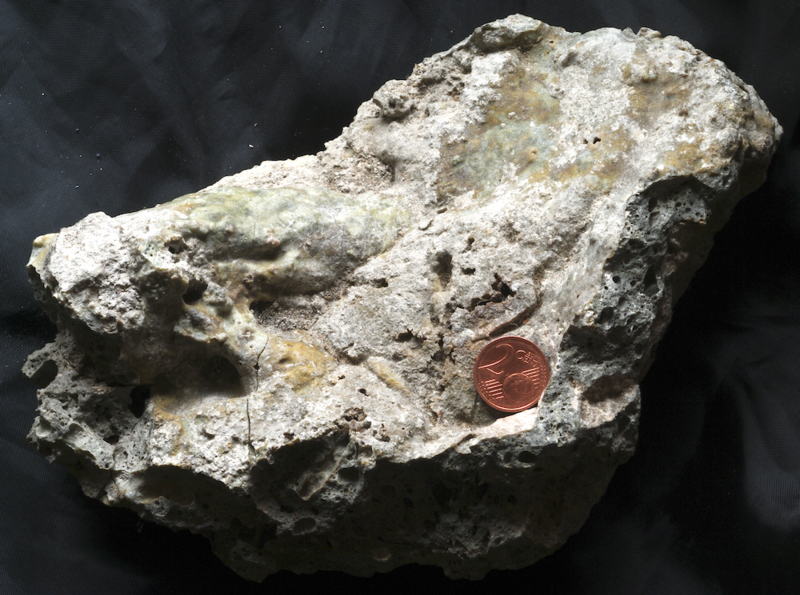 Sample is from the Ronheim quarry. Fig. 16. Ries crater Bunte breccia mixture of Keuper sandstones and marlstones, Jurassic claystone particles and small crystalline rock fragments. Fig. 17. 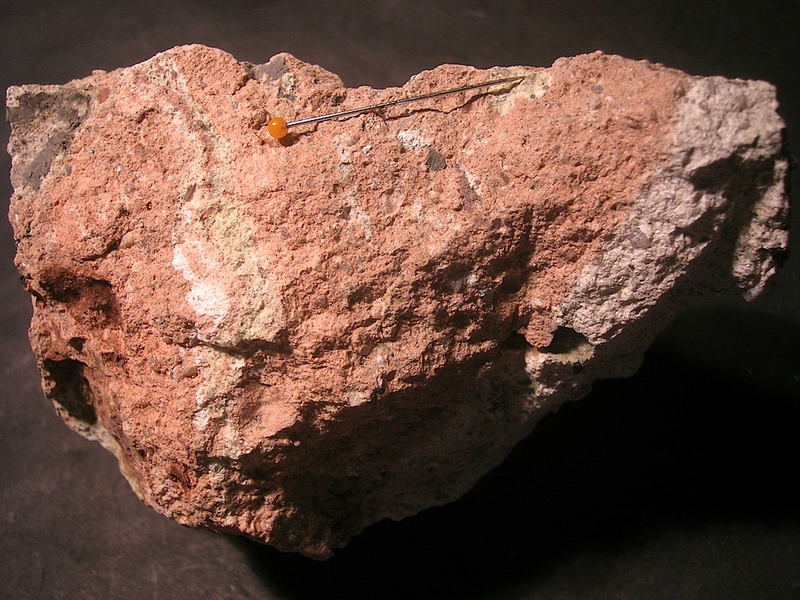 An isolated gneiss component extracted from Bunte breccia claystones. 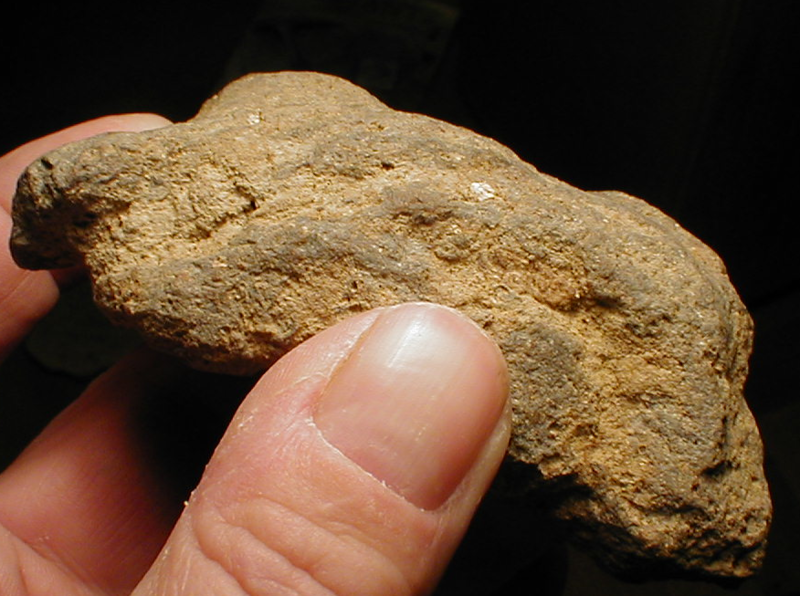 Note the rounded shape reminding of a conglomeratic cobble. 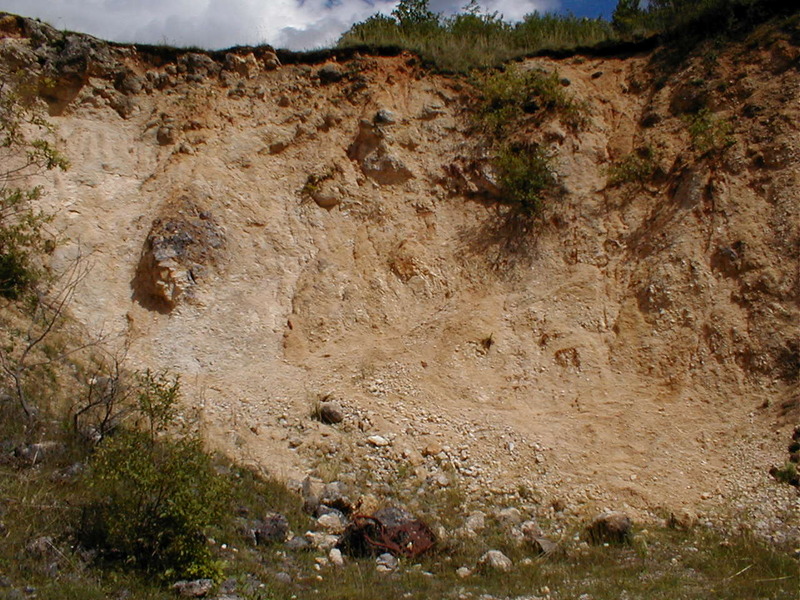 Rounding of clasts in the impact cratering process is a common observation that has particularly been referred to in the Spanish Azuara/Rubielos de la Cérida impact structures. Fig. 18. Ries crater Bunte breccia ejecta, Ronheim quarry. The multicolored intimate mixture of various rocks from various stratigraphical units contains a wooden component transformed partly to charcoal and partly to petrified wood (greyish).Car key length 7 cm. Fig. 19. 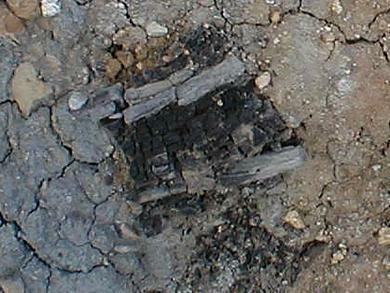 The wooden component from Fig 18 in close-up. The in part fossilization of the wood/charcoal was performed by an enigmatic fine sandy-carbonate material and not by silicification. Fig. 20. 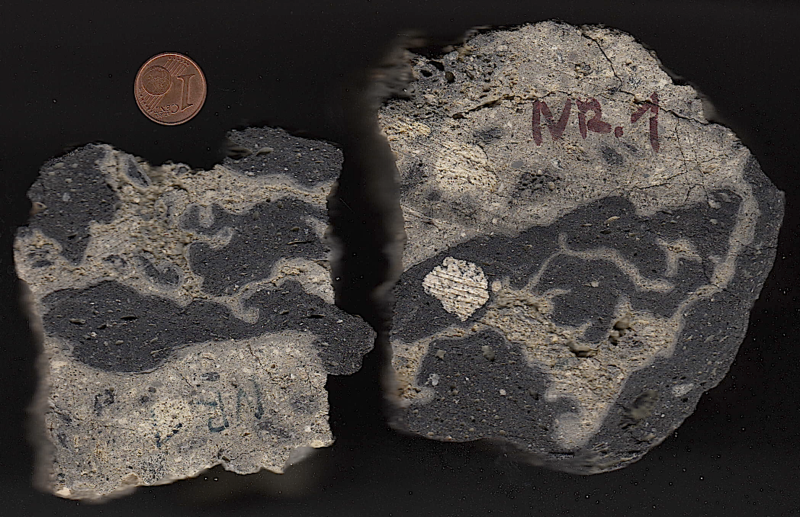 Polymictic crystalline breccia (probably a lithic breccia) from the Wengenhausen outcrop, inner ring region. Fig. 21. From the Ries crater ejecta: monomictic movement breccia. 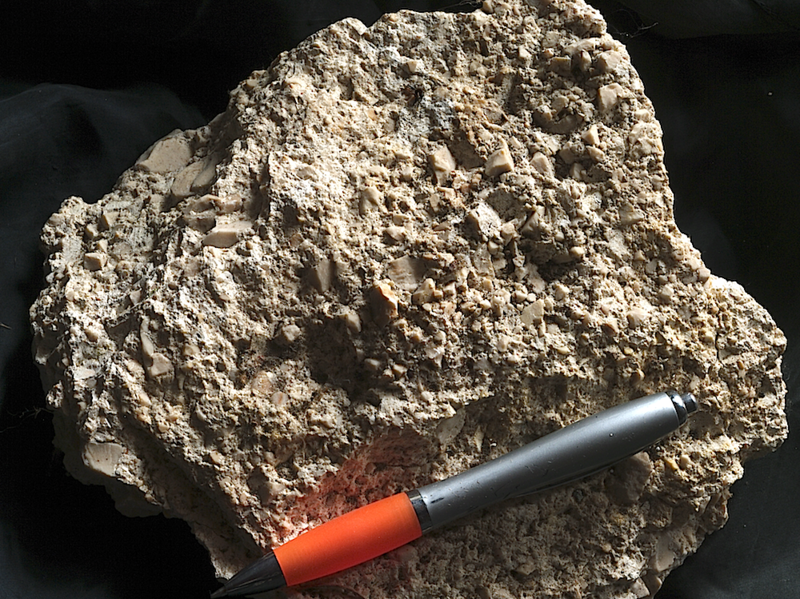 Grit-brecciated Malmian limestone from the Iggenhausen quarry (see a photo from the outcrop HERE.). Fig. 22. 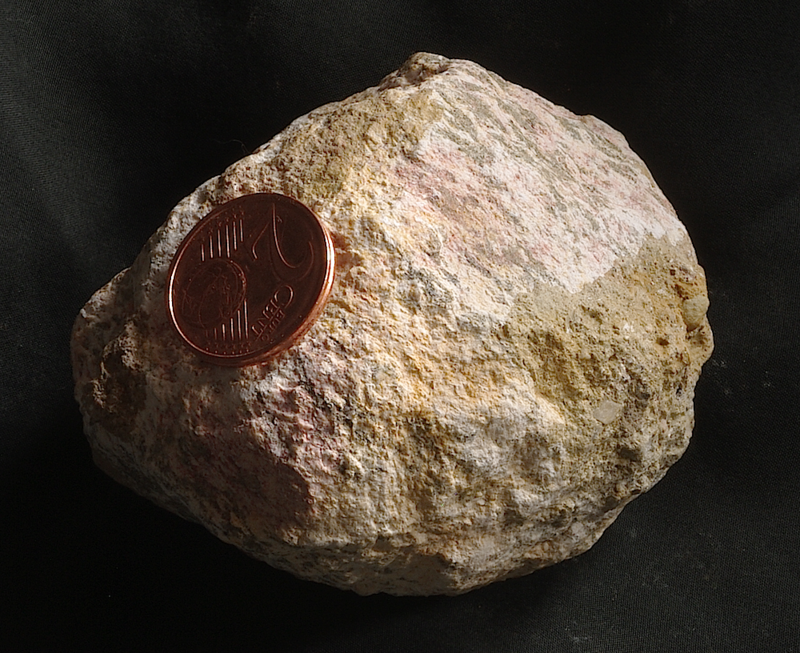 Monomictic movement breccia: grit-brecciated granite from the Limberg quarry near Unterwilflingen (see an outcrop photo HERE). Fig. 23. 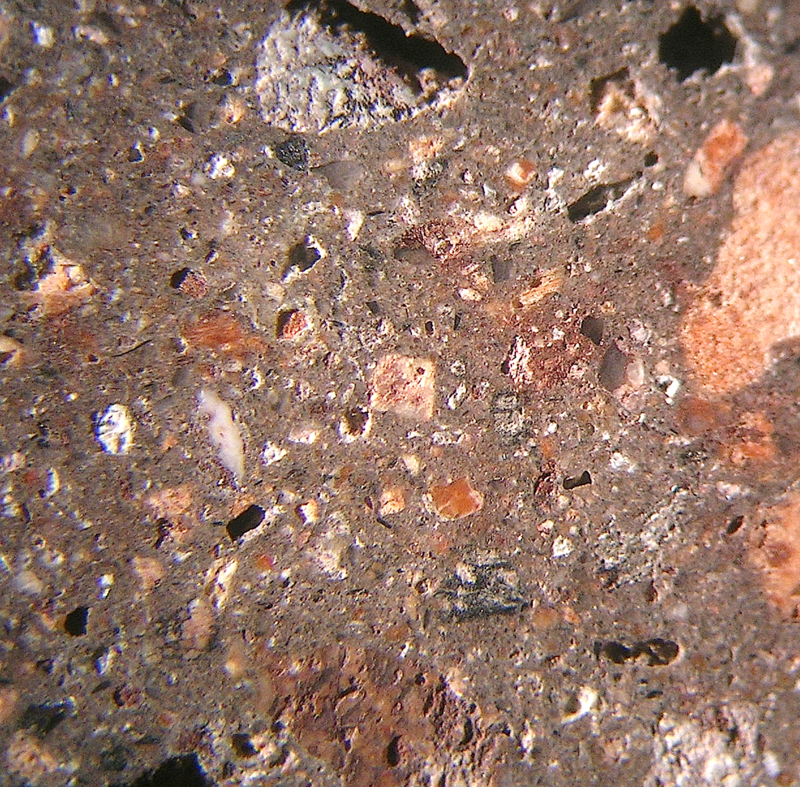 Monomictic marlstone fragments (from Malmian or Keuper) in a monomictic sandy matrix (probably from Keuper sandstone). Limberg quarry in the megabreccia zone between crater rim and inner ring of the Ries crater. 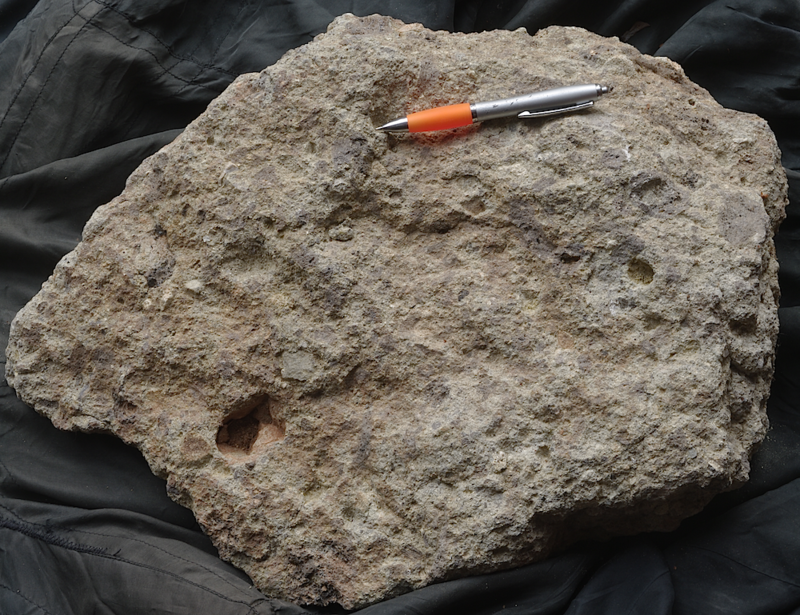 For the Spanish large Azuara and Rubielos de la Cérida impact structures where this kind of breccia is frequently observed we chose the term pseudo-monomictic breccia with reference to the monomictic clasts in a monomictic however allochthonous matrix.